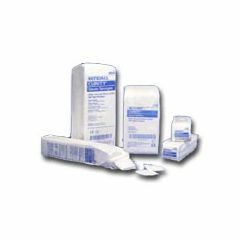 CURITY Gauze Sponges are well suited for a variety of applications: wound dressing, general cleaning, minor prepping, wound packing and debriding. The non-sterile sponges are conveniently indexed in tens for faster, easier handling, while the sterile sponges are sealed two-by-two in packets. An economical dressing in a broad range of sizes and plys. Made from high-grade 100% US grown cotton, these sponges exceed USP Type VII gauze requirements. What makes CURITY™ Gauze Sponges a premium product? They are quality approved to the highest standards; made from 100% ring spun yarn which is highly absorbent and maximizes vertical wicking capabilities. What makes CURITY™ Gauze unique? CURITY™ Gauze is manufactured by Kendall, the only US-based gauze manufacturer. How can I be confident in the quality of CURITY™ Gauze? Kendall has over 100 years of gauze manufacturing experience. Effective. Easy To Use. Durable. Good Value. comfortable. Daily Use. Keep In The Bathroom. Travel. easy to use. The best for the $$. Soft, comfortable and easy to use. Effective. Good Value. High Quality. autoclave-able. standard 4 x 4 sponges for wound dressing. Easy To Use. Good Value. helpful. Daily Use. Absorb wound cleaner. Budget Buyer. i buy what i can afford. The best for the $$. Used to place old wound dressing on before disposal. Also helpful in a pack to catch liquid wound cleanser while flushing wound on head. Effective. Easy To Use. High Quality.